ARE YOU THE ULTIMmATE MOVIE BUFF? KUALA LUMPUR, 18 MAY 2017: Calling all movie fanatics! 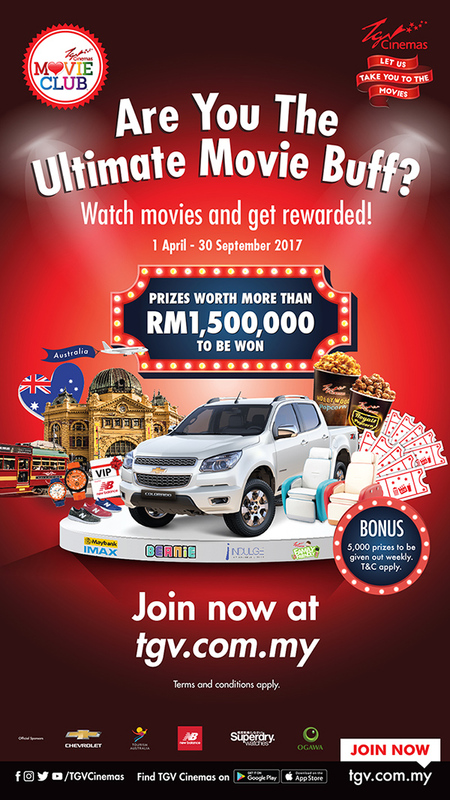 TGV Cinemas Sdn Bhd (TGV Cinemas), Malaysia’s leading cinema operator, is searching for the ‘Ultimate Movie Buff’. The contest, which runs until 30th September, will test the cinematic knowledge of TGV Cinemas MovieClub members and reward them with prizes worth over RM 1.5 million. 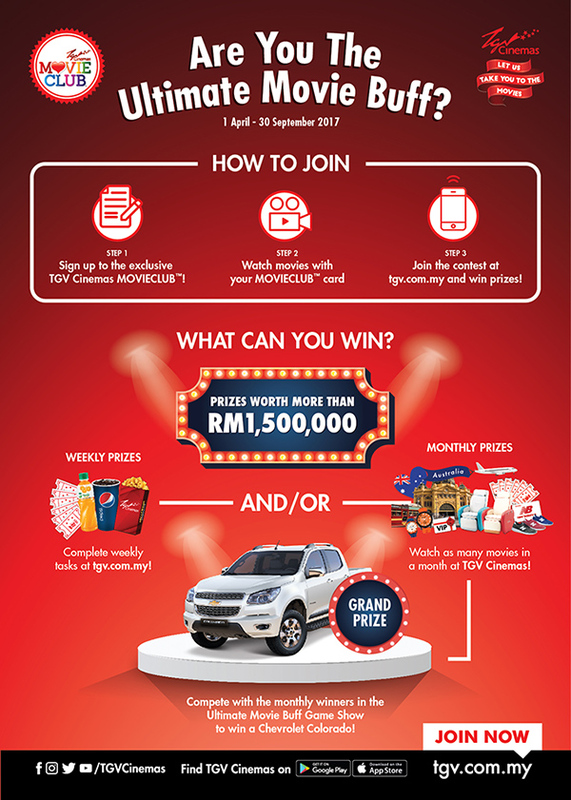 In addition to the monthly prizes, TGV Cinemas MovieClub members will also stand the chance to win one of 5,000 prizes every week by logging in and performing simple tasks. Exclusive to TGV Cinemas MovieClub members, the ‘Are You The Ultimate Movie Buff?’ contest gives even more rewards to moviegoers who have signed up for the loyalty programme. Aside from the chance to win fantastic prizes in the contest, members will also receive exclusive invites to movie premieres and special screenings, take advantage of advance ticket sales, earn MovieMoney™, redeem freebies on their birthday, and so much more! 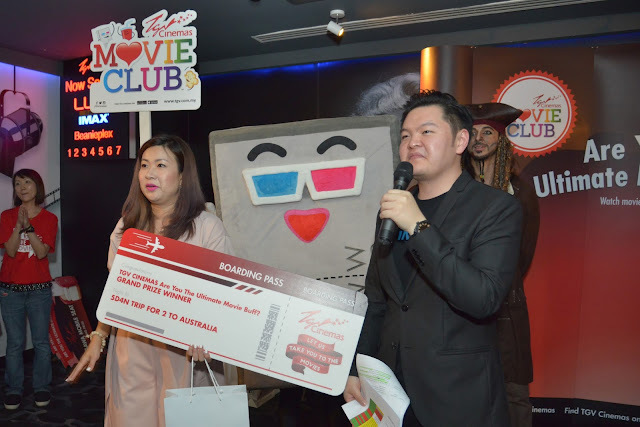 STEP 1: SIGN UPas a MovieClub member, TGV Cinemas’ award winning & hottest loyalty programme in town. STEP 2: WATCHas many movies as you can at TGV Cinemas. STEP 3: JOINthe contest at tgv.com.my and answer weekly questions.